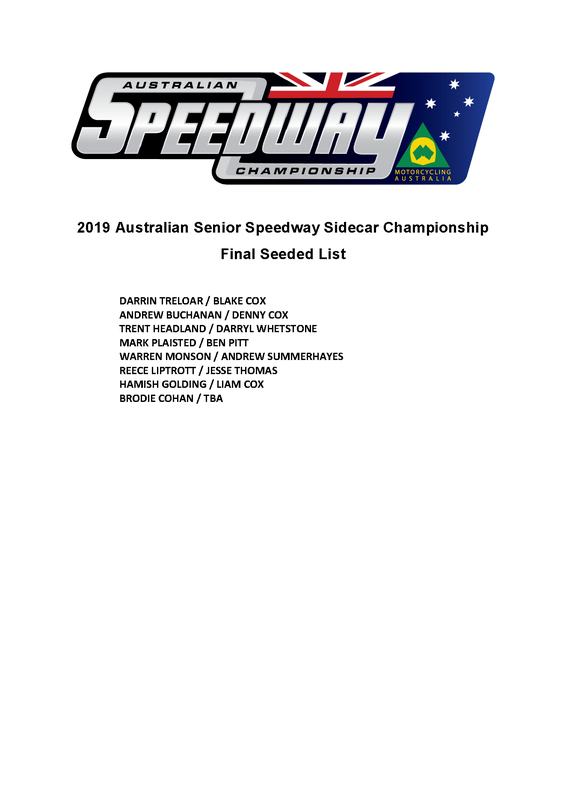 It is with great pleasure that Motorcycling Australia (MA) release the Final Seeded List for the 2019 Australian Junior and Senior Speedway Sidecar Championships, as well as the 2019 Senior Speedway Sidecar Championship Qualifier list. 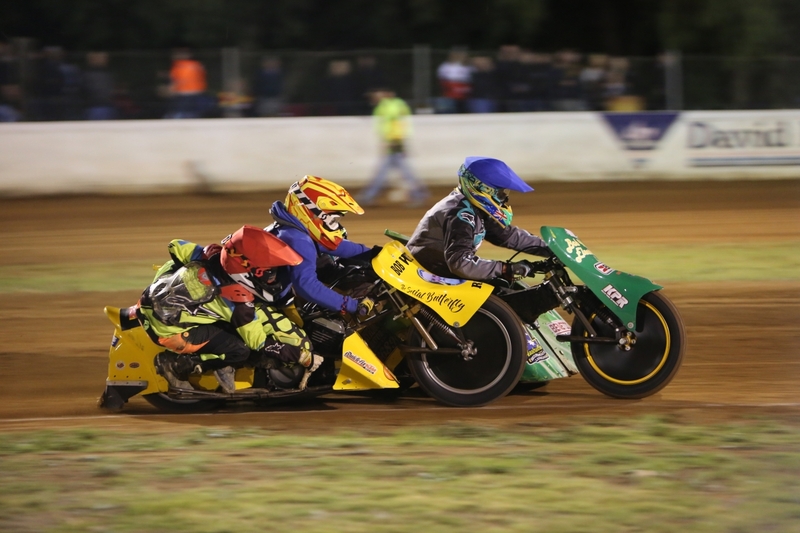 Running from 20-21 April at Pioneer Park Speedway, Queensland, the 2019 Junior and Senior Speedway Sidecar Championships will electrify both competitor and spectator, as Australia’s leading Speedway Sidecar riders fight for the coveted 2019 titles. 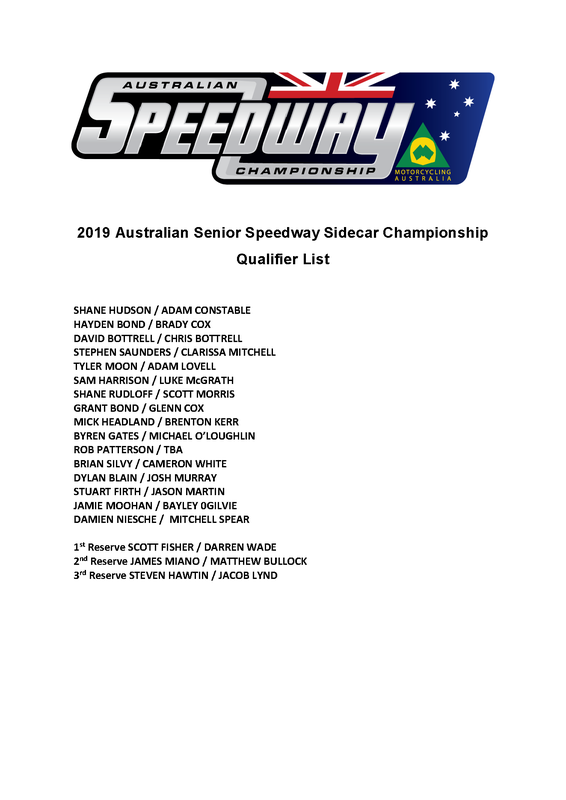 A Qualifier will be held on Saturday 20th April for the 2019 Australian Senior Speedway Sidecar Championship, where 16 duos will battle it out for the remaining eight places available. 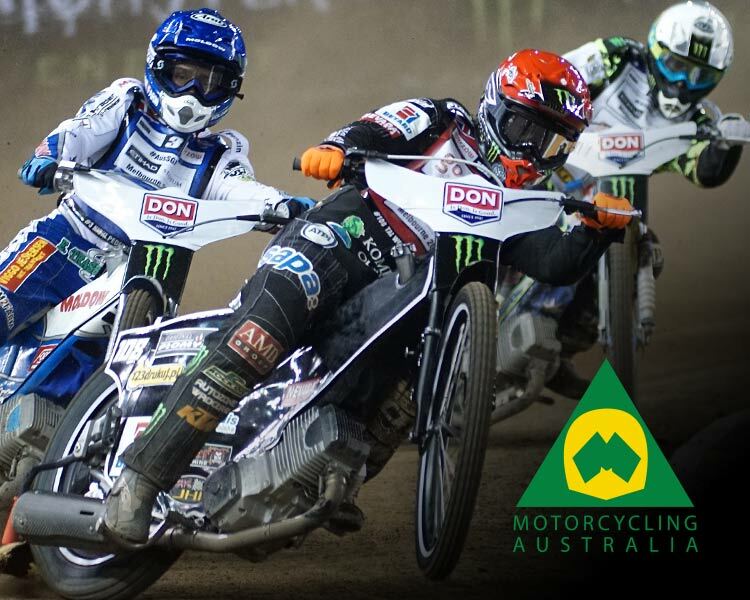 Upon the close of Saturday’s Qualifier, riders and fans will return on Sunday, 21st April to see Australia’s finest bring the heat for a chance at the 2019 Senior Speedway Sidecar title! 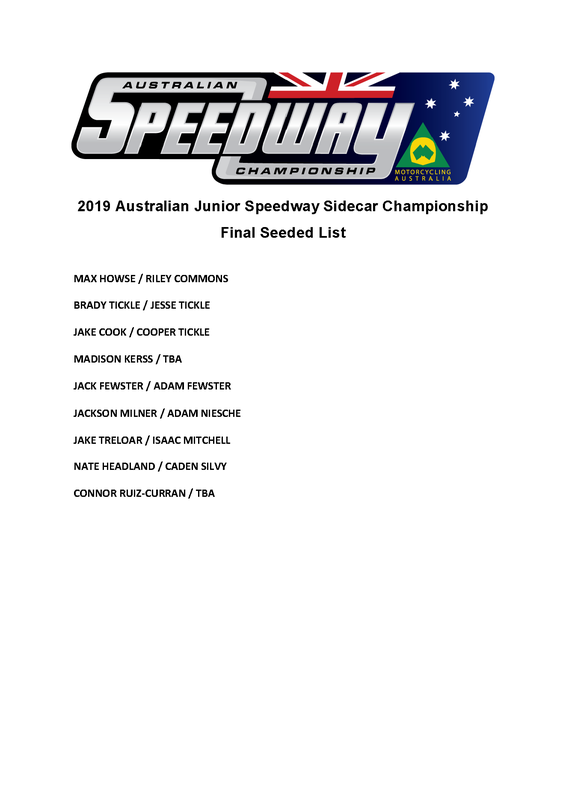 Running in conjunction with the seniors, the 2019 Australian Junior Speedway Sidecar Championship will run on Sunday 21st April. Make sure you get yourself to Pioneer Park for the Easter weekend, to witness Australia’s impressive emerging Speedway Sidecar talent! Keep up to date with all Australian Speedway Championship news by heading to the Australian Speedway Championship Website, or head over to Facebook for all your Speedway news.